This is Shea, a very talented and intelligent 9th grader with a passion for music. Over her lifetime, she has played the electric guitar, flute, bass guitar, and piano. 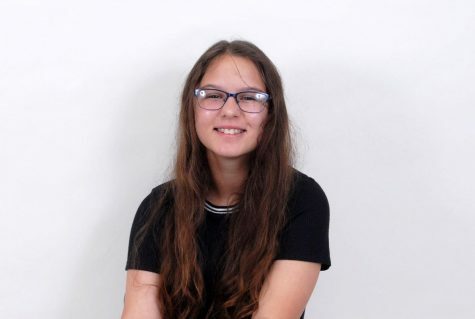 Shea has been into music since she was 7-years-old, and one of her goals in life is to be a part-time musician, along with being a marine scientist. She is also currently in the marching band where she plays the flute. Shea's biggest interests in journalism are writing and photography. She is hoping that journalism will help her listening skills and writing skills. Shea’s academic strength is science, and she is also a very good test taker. Her academic weakness is procrastination and writing good essays. In her free time, Shea likes to practice her instruments, swim, and watch Netflix. One of her biggest goals is to earn a master's degree in college and have a well-paying job. She also wants to improve her motivation so she can do more in life.